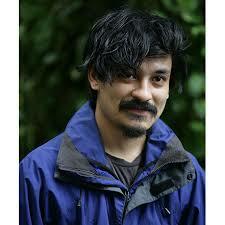 Karan Shrestha (b. 1985) lives and works out of Mumbai, India and Kathmandu, Nepal as an independent lmmaker, short story writer and artist. He studied at Sydney Film School and began making lms and short videos in 2009, experimenting and exploring hybrid narratives. His selected exhibitions and screening includes Sharjah Film Platform, UAE (2018), Second Yinchuan Biennale, People’s Republic of China (2018), Siddhartha Art Gallery, Kathmandu, Nepal (2016), Del na Foundation, London, UK (2015) and Chauvel Cinema Paddington, NSW, Australia (2013). He has attended many presentations and residencies at Para Site, Hong Kong (2018), HKU University of the Arts, Utrecht, the Netherlands (2017), NFDC Film Bazaar, Goa, (2014), Photo Circle, Kathmandu, Nepal (2013) and Sandarbh Artist’s Workshop, Jaipur, India (2012). He has been nominated for Asia Paci c Breweries Singapore Art Museum Prize in 2018.